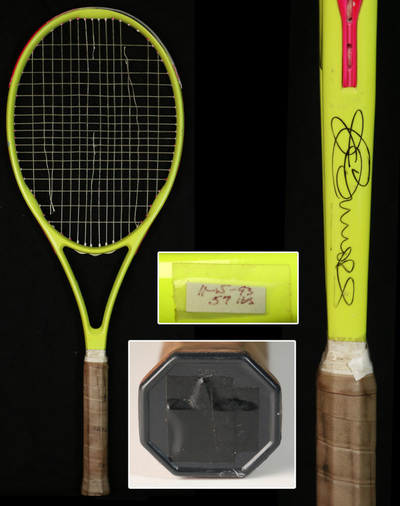 1993 used personal Estusa racquet, signed. 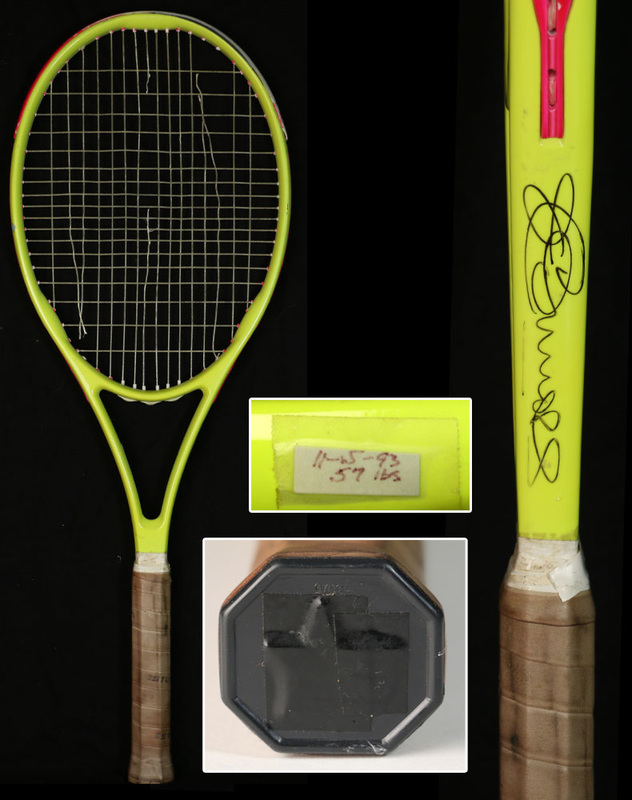 Used personal Wilson ProStaff racquet, signed. 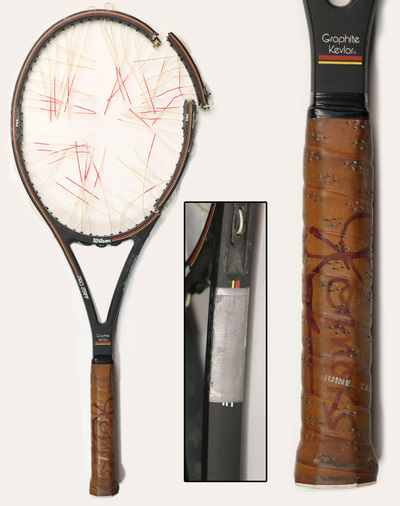 1978 used personal Wilson T2000 racquet, signed. 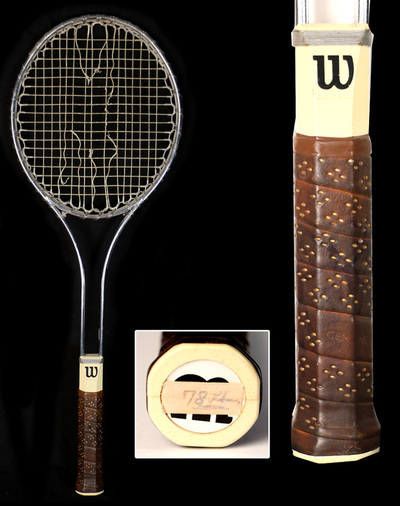 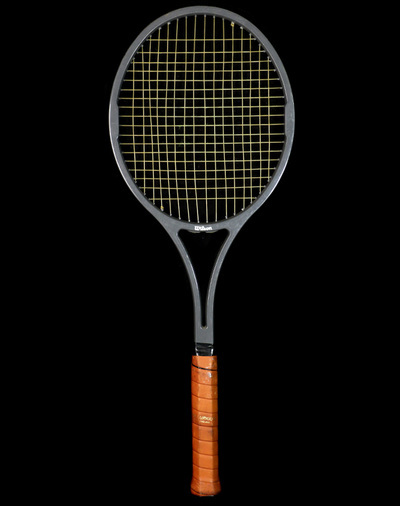 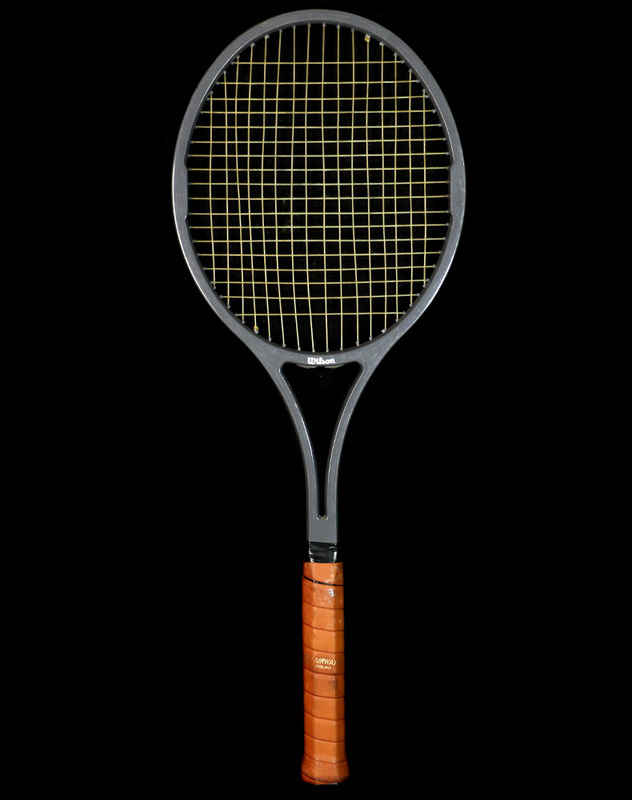 Wilson ProStaff Rounded head prototype, made only for Jimmy Connors. 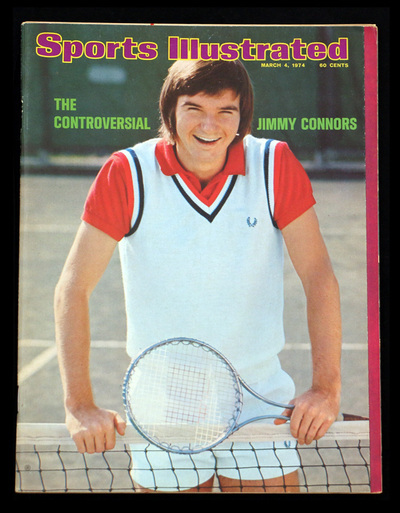 March 4, 1974 Sports Illustrated, unsigned cover. 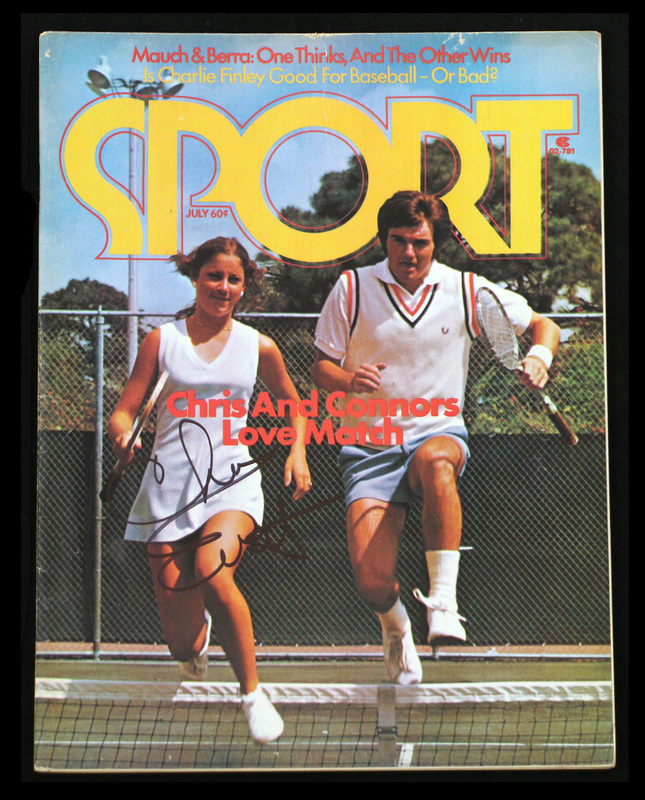 March 4, 1974 Sports Illustrated, fold-out cover signed by Chris Evert. 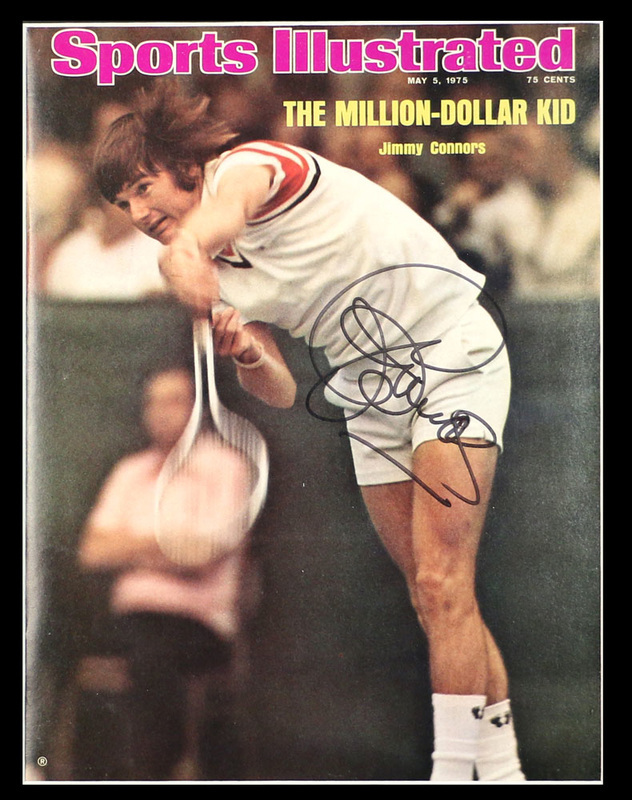 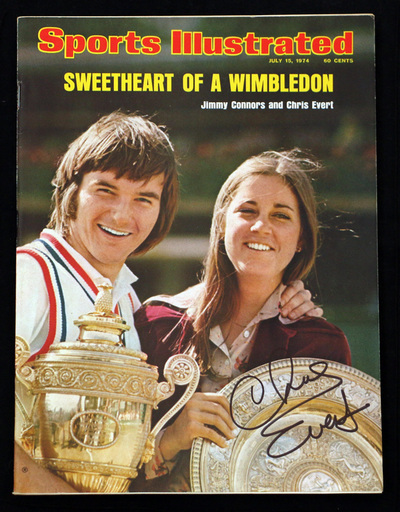 March 4, 1974 Sports Illustrated, signed by Chris Evert. 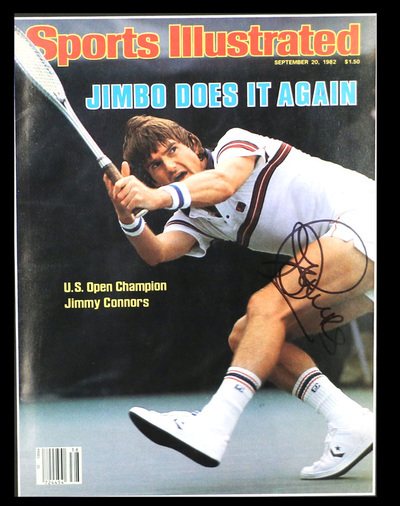 July 1974, Sports Illustrated, signed by Chris Evert. September 20, 1982 Sports Illustrated, signed. May 5, 1975 Sports Illustrated, signed. 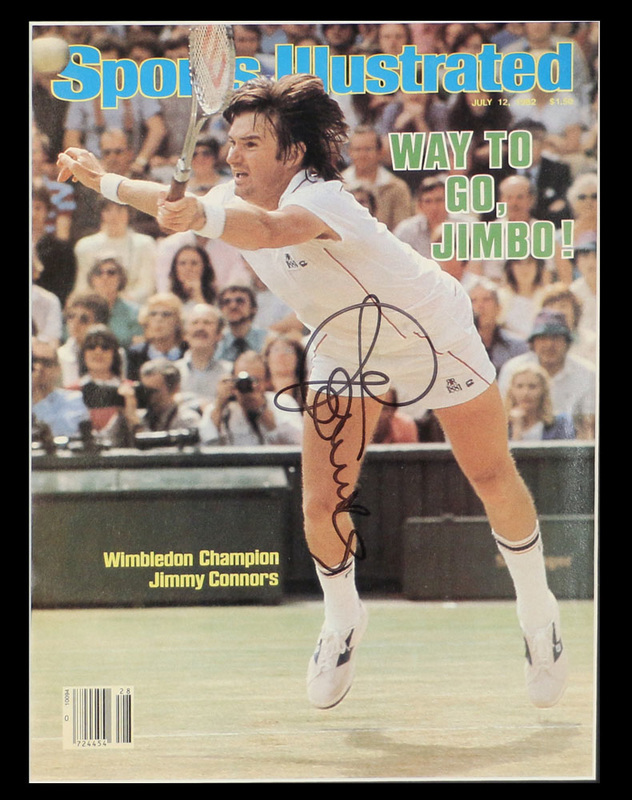 July 12, 1982 Sports Illustrated, signed.